Chiropractic is a health care profession dedicated to the non-surgical treatment of disorders of the nervous system and/or musculoskeletal system. Our chiropractors maintain a unique focus on spinal manipulation and treatment of surrounding structures. Orthopedic Rehabilitation focuses on problems of the musculoskeletal system – muscles, bones, ligaments and tendons. Our orthopedic clinicians diagnose, manage and treat injuries of the musculoskeletal system and rehabilitate patients right after orthopedic operations. We specialize in treating post operative joints, acute injuries due to sporting activities or everyday injuries, arthritis and amputations. 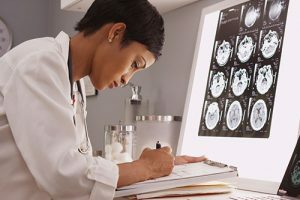 Magnetic resonance imaging (MRI) is a noninvasive imaging exam that uses a strong magnetic field to provide detailed images of internal organs and tissues. Our radiologists analyze and interpret these sensitive images to diagnose many types of injuries and conditions, including spinal conditions, neck pain, nerve damage, and other relevant injuries. Physiotherapy helps repair damage, reduce stiffness and pain, increase mobility and improve quality of life. Physiotherapy extends from health promotion to injury prevention, acute care, rehabilitation, maintenance of functional mobility, chronic disease management, patient education and occupational health. Our physiotherapy services include EMS, Mechanical Traction, hot/cold pack Chiropractic adjustment, neuromuscular re-education and therapeutic exercises. Therapeutic exercise refers to a range of physical activities that helps restore and build physical strength, endurance, flexibility, balance, and stability. The goal of therapeutic exercise is to return an injured person to a pain-free, fully functional state. Managed by a physical therapist or chiropractor, therapeutic exercise begins with an exercise program tailored to each patient’s specific needs, physical condition and capabilities. These programs emphasize slow progression, and are continuously modified according to the patient’s progress. The first goal of any therapeutic exercise plan is to reduce pain and inflammation. However, the goal may shift to regaining range of motion, rebuilding muscle strength, and developing endurance. Joint mobilization is a subtype of joint manipulative therapy in which the therapist moves the joints in specific directions and depths with, or without, the patient’s assistance, to stretch the joint and its surrounding tissues.Mobilization is different from the high-velocity, low amplitude (HVLA) thrust joint manipulation employed by chiropractors and other manual therapists. Chiropractors refer to HVLA thrust manipulation as a chiropractic “adjustment,” spinal manipulative therapy (SMT), or simply “manipulation.”Thrust manipulation involves rapidly moving the joint beyond its physiologic or normal operating range of motion but below its anatomical or maximum limit of motion. Traction is a common chiropractic technique that involves the prolonged stretching of joints and ligaments in an attempt to relieve neural pressure. Spinal nerve compression often affects individuals suffering from degenerative disc disease, facet disease, or arthritis of the spine. A compressed, pinched nerve can cause symptoms of pain, tingling, numbness, and weakness – symptoms that spread as far as the fingers and toes. Therefore, traction is an attempt to “open up” spinal subluxations, or abnormalities, and gradually shift them back into their proper alignment so that nerve compression is eliminated. Traction approaches will vary based on the individual needs of the patient, but may include mechanical traction, manual traction, and anti-gravity traction methods. Rehabilitation specialists, massage therapists, and the spa industry have endorsed paraffin therapy for its therapeutic properties. ?Physicians have long known that paraffin therapy is a veritable way to speed healing and soothe muscle and joint pain.Paraffin therapy is also widely used in the treatment of sports related injuries and other conditions where heat therapy and exercise therapy are needed. One of the overlooked benefits of paraffin therapy is that it soothes and moisturizes the skin, opens pores, increases circulation, and promotes a sense of calm in the patient. Electric muscle stimulation is a physical therapy modality that can be used to stimulate muscle contraction in an effort to control pain, strengthen muscle and manage inflammation.During this therapy, electrodes are hooked up to an electric stimulation machine and are placed around the affected area of your neck, back, shoulder, knee, ankle or wrist. The placement of the electrodes depends on the reason for which the muscle stim is given, along with how deep or superficial your doctor intends for the current to go. Electric muscle stimulation therapy may enhance tissue healing and inflammation control. It works by reducing swelling and increasing circulation. Muscle stimulation may block nerve transmission at the spinal cord, thereby reducing pain sensations. Hot/cold therapy, or heat/ice therapy are quite beneficial when used for the right application at the right time. The key to successful hot/cold therapy is knowing whether ice or heat is needed. Cold slows down blood circulation in an area to reduce pain and swelling after an injury. Ice reduces inflammation and numbs the pain in a short time. With heat therapy, muscles and joints are relaxed, and this treatment occurs for a longer period of time than when cold is applied.